We Set Records… We Win Championships! 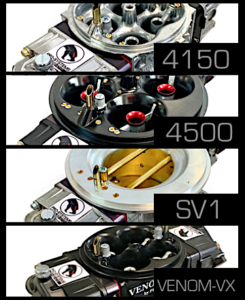 We are the Worlds Largest Manufacturer/Designer of Strictly High Performance carburetors for a reason. 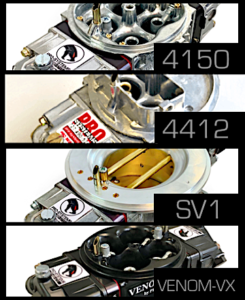 We specialize in ONLY high performance carburetion and components for Race and High Performance applications. 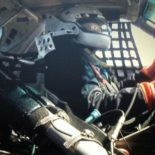 This exclusive focus on the Race and Performance markets has not only scored us hundreds and hundreds of World Records and Championships along the way it has allowed us to become a highly respected and trusted name in the racing and high performance world. It also keeps us on the fast track for constantly improving designs. The best carb we have ever owned, it is literally a bolt on masterpiece. For our application, once the carb is set it stays there. We only do a timing change for correction of air density. Great carbs, came spot on for my combo. Tried making changes to improve and always ended up back to original specs. Great working carburetor, one of the best parts in our program. Fuel ratio is as close to perfect as possible. I’ve been dealing with Pro Systems for years , his carburetors are unbelievable and working with him is a pleasure!!! Over the last couple of decades Pro Systems is proud to have worked with and continues to work with some of the biggest names in the business to test and develop our designs. Respected names like Glidden, Reher Morrison, Warren Johnson, B.E.S., Dale Earnhardt Inc., Jeg Coughlin, Roush-Yates, Tony Christian, Larry Morgan, V. Gaines, Jon Kaase and more. These are folks anyone would be proud to work with to improve their products. If you really want an unbiased opinion…ask these folks… you are gonna get the truth. Contact us today and get ahead of the competition! 1879 S. Wolf Lake Rd.